Ohio State Buckeyes head coach Urban Meyer revealed he has had a history of headaches and that he had brain surgery in 2014, but says he will continue to coach. During Ohio State's win over Indiana on Oct. 6, Meyer could be seen doubling over in pain from an ongoing headache issue. That led to questions about his future in coaching. On Tuesday, Meyer, 54, spoke with several media outlets about his health, detailing the presence of an arachnoid cyst that has been on his brain his whole life. Yahoo Sports reported that after the 2014 surgery, the headaches returned occasionally in the 2015 and 2016 seasons, but he has had what he calls "severe pain" the past two years. He is managing it through medication while being monitored by doctors. 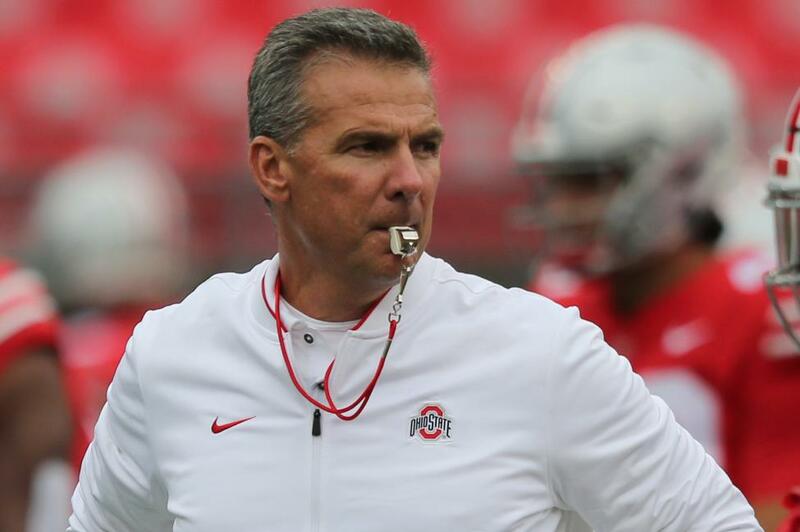 Nonetheless, Meyer plans to remain Ohio State's coach as long as possible. "I am fully committed to Ohio State and the football program for as long I can," Meyer told the Cleveland Plain-Dealer. How long that will be remains to be seen. A statement from Meyer's personal physician, Dr. Andrew Thomas, chief clinical officer at Ohio State's Wexner Medical Center, was provided by Meyer. "The past four years, we've been working closely with Coach Meyer to monitor and manage the symptoms that have risen from his enlarged congenital arachnoid cyst. This includes aggressive headaches, which have particularly flared up the past two years," Dr. Thomas said in the statement. Heart issues led to Meyer's departure as Florida's head coach in December 2009. The Buckeyes are 7-1 and ranked No. 8 heading into Saturday's home game against Nebraska.